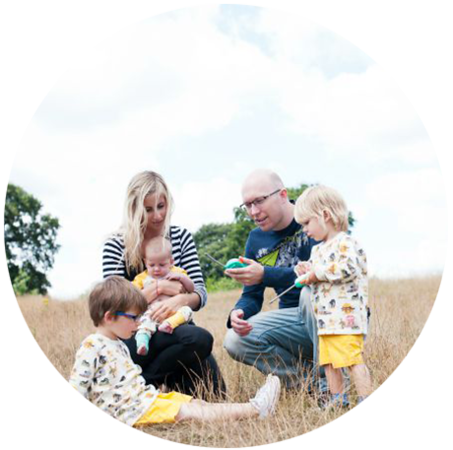 Mother who supports homebirth, breastfeeding, baby wearing, cloth diapering, co-sleeping, gentle discipline, etc. One who questions established medical authority; tends to be vegetarian and/or prepare all-organic foods. I think that another way to describe a 'crunchy mum' therefore is one who attains to a natural, holisitc, organic, environmentally friendly eco life. A modern day hippy mum. Parents are very often typecast, the teen mum, the soccer mum, the working mum, the single mum. Crunchy mum was a new term to me though. 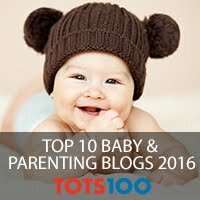 Attending baby groups has shown me that most parents (not all) fall into two groups. 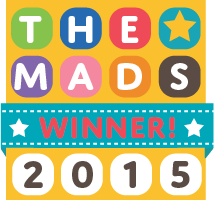 There are those that extended breastfeed, practice baby led weaning, cloth nappies, baby wearing, and co-sleep. These are your 'crunchy mums'. There are then those that may have breastfed for a week or two, or may have started on bottles, who wean earlier and onto purees and who use disposable nappies. I do not believe that one is right and one is wrong, they are both personal choices and being the best parent is about making choices that are right for you and your baby. But I don't know where I fit in. I think I am a bit flakey. I breastfed for eight months, I don't count this as extended but equally I think it is quite an achievement. I love cloth nappies, but we do use mostly disposables at night and not the eco friendly ones. I love my sling, but you will most often find me pushing my pushchair. Co-sleeping is not for me- I like my own space too much, but we did have Dylan in with us for most of the first 6 weeks to make life more peaceful. I very rarely make my own baby food mush. I am not a teen mum, nor a single mum, I work two days a week so am not really a working mum or a SAHM. I like to think that I am just another mum trying to do my best for my son. I never expected that I would be the parent that I am. Cloth nappies had not crossed my mind until after Dylan was born, similarly the sling was not an essential until he was a few weeks old. I have never been particularly green in the past, and becoming a parent has encouraged my first steps in that direction. I am still very far from being environmentally friendly, and can't see myself at any organic veg markets in the foreseeable future but one step at a time. 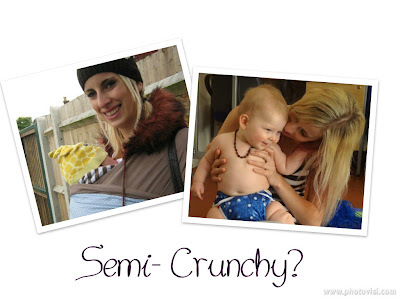 So can you be a semi-crunchy mum? And more importantly, where did the word 'crunchy' come from? I think I am a slightly bit crunchy Mum- I breastfed for 11 and a half months, I owned a sling but prefer the pushchair. I didn't baby wean but did a combination of both, and i certainly don't care if Mads has a little bit of junk and chocolate as long as she gets healthy stuff too. I wouldn't have co slept but then I have a really good sleeper so I never had to question it! Your attitude sounds a lot like mine, somewhere in the middle. Good place to be I think! Thanks for Clearing that up. I reckon you know if you're a crunchy mum - I am not one. Like you I breastfed all of mine for a reasonable time but I enjoyed it. I did make my own baby food but I probably pushed them too early. I used disposable nappies too! But for me, I didn't want to out myself under too much pressure and we three under 5, that worked for me. I take my hat off to those that van make the while crunchy thing work. We all do what is best for us, I don't think that crunchy mums are any better or worse as parents, they have just made different decisions. Three under 5 sounds like a handful! Sorry that is my stupid iPhone and my fat fingers! I hope you can make some sense of it! When you told me this term, I went and bought Charlie crunchie rocks for his birthday! I do think of the chocolate everytime I hear it, must stock up! Hi, Me too, semi crunchy even though I promote eco toys! I came accross this post as I am trying to find out whether you are vegetarian or not.